Empowering the 21st century women who are talented to pursue their dreams through an online platform. Nana Arabia products are inspired by women of the 21st century, who follow their dreams and heart. Nana is committed to make them feel secure and confident. Nana wanted to connect with its women target audience in the region in a more meaningful way and strengthen its positioning as an enabler where ‘Nothing stops you’. 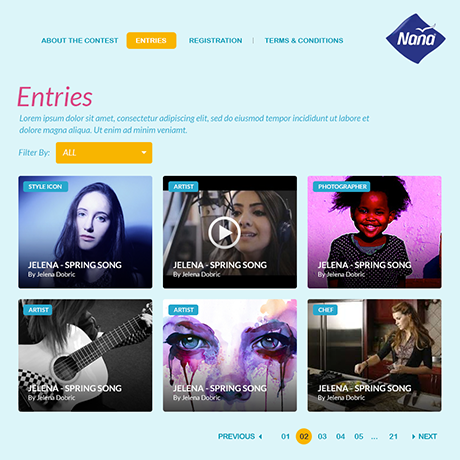 We used the insight of ‘Nothing stops you’, to build an online platform Nanatalent.com. The domain name conveyed the idea instantly. Bright colours were used in the design mnemonics. 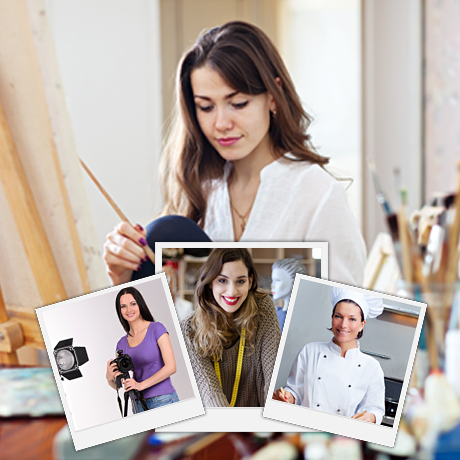 Women in the GCC were encouraged to share videos and photos of their talents and aspirations. The best talent was rewarded with an opportunity to enhance their skills through sponsored programs from the world’s best universities. The website was responsive and integrated with the Facebook page of Nana. For building buzz and awareness, we ran a highly targeted ad campaign to generate interest and increase participation. Pre-launch and post launch data trends were collected and analyzed to gauge the success of the project. The campaign was a huge success with a lot of youth participating and sharing their unique talent using this platform.